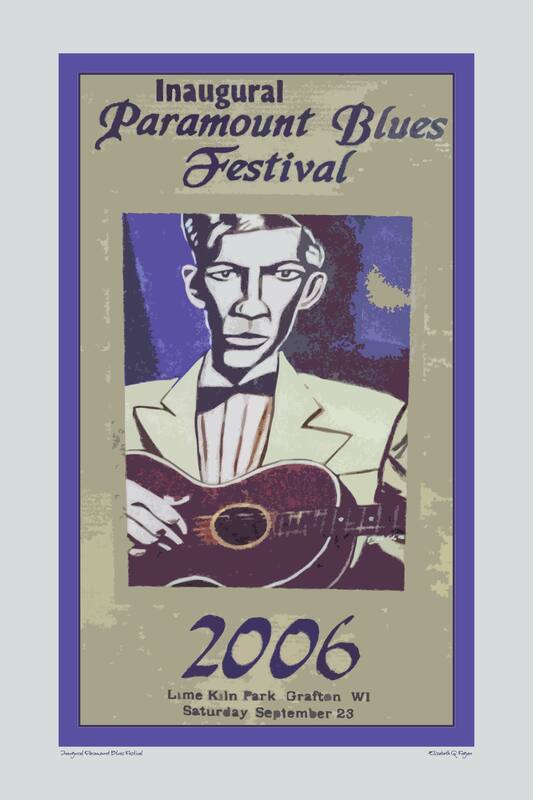 The art here is based on artist and writer Elizabeth G Fagan’s own poster from the Inaugural Paramount Blues Festival, 2006, in Grafton, Wisconsin. The musician portrayed is Charley Patton, an American original, whose recordings in the 1930s at Paramount’s studio in Grafton are a national treasure. As a child, artist and writer Elizabeth G Fagan attended school in Ozaukee County, Wisconsin. She was taught to recognize the dairy cows she saw on the farms that dominated the county. She remembers that cows chew cuds and have several stomachs. Ozaukee County contains Port Washington and Grafton, two towns that, by a quirk in history, figure enormously in the canon of American music. In the 1920s–30s, Mississippi Blues artists traveled to those towns and recorded at the studio of Paramount Records. They laid down the templates for all American music that followed. Fagan did not learn a thing about Paramount Records in Ozaukee County schools. Neither did her two sisters. Fagan’s mother’s family has lived in southeastern Wisconsin for generations. None of them have ever heard of Paramount Records. The African-American Blues artists who recorded in Grafton were required to travel by night so the European-descended residents would not be frightened by the sight of them. Bigotry among residents of Ozaukee County has little changed. Hatred of non-whites laced heavily with xenophobia runs rampant in the largely Republican county. In the 2010s, one sees more Confederate flags in Wisconsin than in most of the South. Bigotry in Wisconsin even extends to white-on-white prejudice: residents with specific European ancestries hate residents of other European ancestries. Most Ozaukeeans remain ignorant of Paramount Records—and could care less. 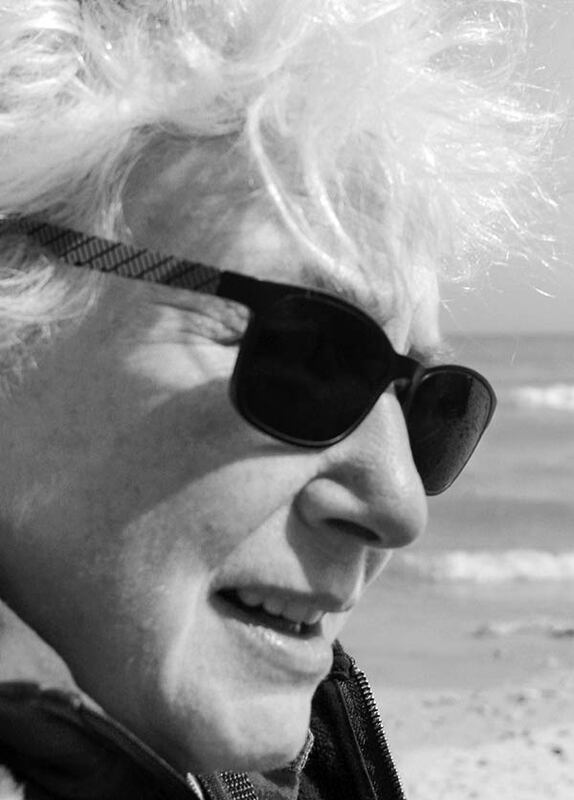 By 2006, however, a small group of white residents, dedicated Blues fans all, learned the tale of Port Washington–based Wisconsin Chair Company and its record label, Paramount Records. They honored the legacy of those who recorded in Grafton by launching an annual musical event, the Paramount Blues Festival. At this writing, the festival is in its 14th year. The founders of Paramount Records knew nothing about the music business. Launched in 1917, the label was simply a subsidiary of Wisconsin Chair Company (WCC) based in Port Washington, Wisconsin. Companies that made early record-playing cabinets (non-electric, wind-up gargantuans) used recorded music to drive sales. Paramount’s cheaply made records were given away or sold with WCC’s latest hope for profitability: expensive phonograph cabinets. In 1920, a new talent emerged, and a new art form came to the recording business. Mamie Smith, an African-American woman, sang “Crazy Blues” into the souls of millions as, across the country, mainstream America heard Blues for the first time. Geography came into play when Paramount decided to cash in on the Blues craze. By the early 20th century, rail lines criss-crossed the United States. For the first time, American businesses could quickly and reliably transport goods across land to eager markets. From Port Washington, Wisconsin, railroads took WCC phonograph cabinets directly south to Jackson, Mississippi, one of the company’s most robust markets. They hired a black entrepreneur from Chicago, J. Mayo Williams, to go to Jackson to sign talent for the burgeoning “race record” market. The marker fails to mention Ma Rainey, and African-American woman who recorded more than 100 songs for Paramount and outsold all of its dozens of white artists, comparative commercial flops. In fact, the sales of Ma Rainey’s records, the hit “Ma Rainey’s Black Bottom” among them, were second in the label’s history to only one other artist, a black bluesman from Texas known as Blind Lemon Jefferson. Over a hundred years later, a hushed, white-female voice points out the obvious. Ever since the turn of the 20th century, America’s popular music has originated with African-Americans, many of them female. And ever since, the real money has been made overwhelmingly by white, male, record-company executives. 1 The Rise & Fall of Paramount (1917–1932), the first installment of a two-volume omnibus of words, images, and music in a limited-edition cabinet-of-wonder format. Copyright © 2013, Third Man—Revenant, all rights reserved. This citation refers to the first of a two-part, astonishingly comprehensive collection orchestrated and financed by musician Jack White. White gained initial success as half of a male/female duo known as The White Stripes.